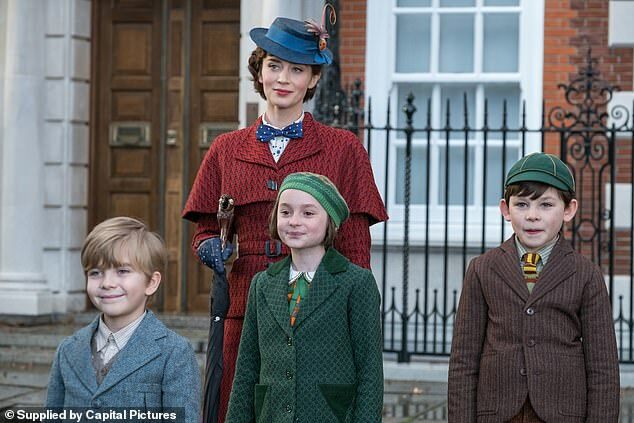 On the set of Mary Poppins Returns they’re clearing up after ‘hurricane Meryl’. A room has been turned literally upside down. Shelves on the wall function as steps, a suit of armour dangles from the floor. A piano is split in two and candles hang, inverted, from suspended furniture. We’re in the chaotic upside-down shop owned by frazzled repairwoman Topsy, played by Meryl Streep. 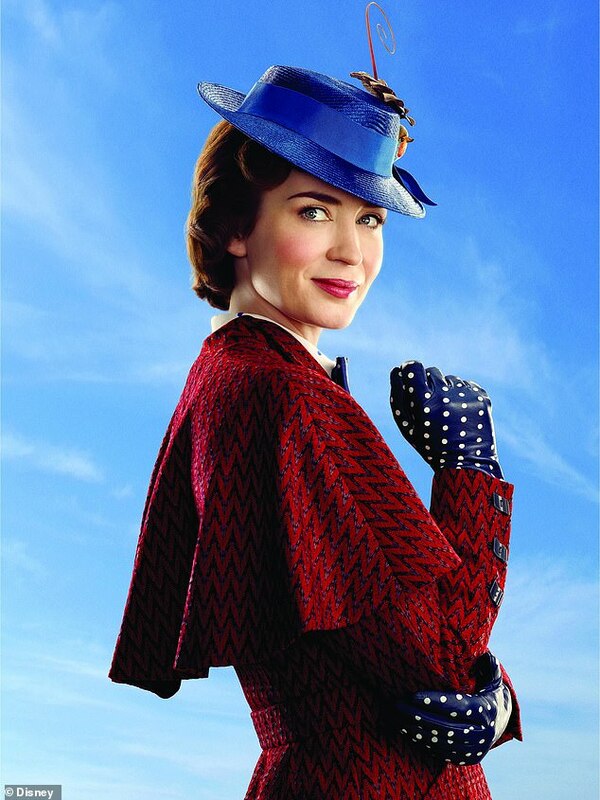 And if her character doesn’t sound familiar, then that’s no surprise, as this is Disney’s £100 million revamp of the 1964 classic, which it hopes will introduce Mary Poppins to a whole new generation. The action in the sequel takes place 25 years after the first film, in Depression-era London. The original film’s pint-sized heroes, the Banks children, Jane and Michael, are now grown up and here played by Ben Whishaw and Emily Mortimer. When we meet the pair, Whishaw, the father of three young children, is a poverty-stricken widower and on the verge of losing the beloved family home on Cherry Tree Lane to a scheming banker (Colin Firth). 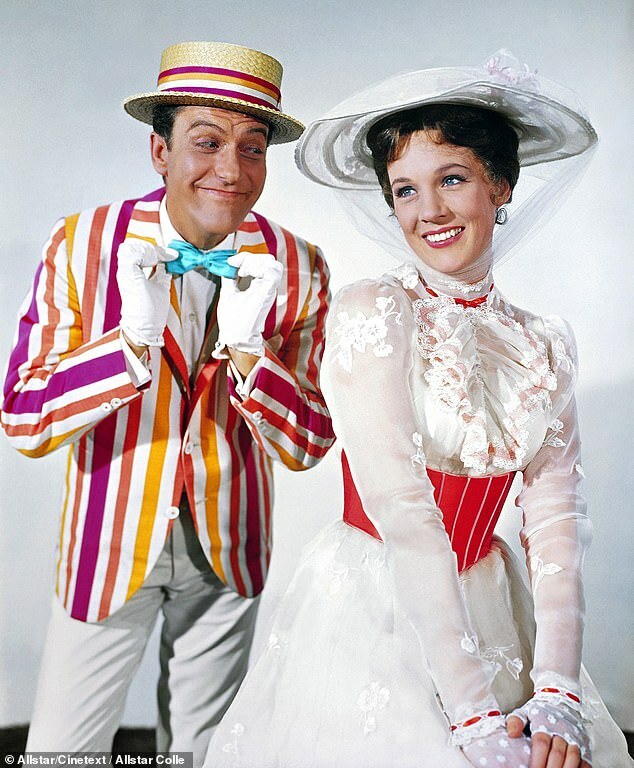 The 1964 original is widely regarded as one of Disney’s greatest films (it won five Oscars, including Best Picture and Best Actress for Julie Andrews). So how do you follow one of the best-loved children’s films of all time? Director Rob Marshall (Chicago) wanted epic song-and-dance numbers, old-school animated sequences and eye-popping magic courtesy of a nanny who’s practically perfect in every way. But the first job was to find a new star of the show. Screenwriter Magee adds that the Poppins written by Travers is stricter with her charges. He agrees that, while the nanny remains at core just as loving and caring, ‘our Mary is a little sharper, a little more stern’ than Julie Andrews’ portrayal. Producer Platt was apprehensive about the singing the role demanded, despite Blunt having sung on screen for fantasy musical Into The Woods, also directed by Marshall. ‘I had a great practice run with Into The Woods,’ agrees Blunt, ‘but I was very nervous for this role. And the dancing was terrifying, as I’m not a trained dancer.’ But she put her back into it, rehearsing for eight arduous weeks, ‘pouring sweat every day’. Taking the role of flat-cap-wearing Londoner this time is New Yorker Lin-Manuel Miranda, the actor-writer-director behind global theatre hit Hamilton. He plays Jack, a leerie, the lamplighters responsible for maintaining London’s gas-fired street lamps. More importantly, he has to maintain a credible cockney accent. We got to film at amazing locations like Buckingham Palace… two words will get you in anywhere: “Mary Poppins”! The original film, set in 1910, was shot entirely at the Walt Disney studios in California using painted London backdrops. This time around it’s a more authentic British movie, filmed at Shepperton Studios in Surrey. Today, in a huge set constructed to look like an abandoned park, cast and crew are running through one of the musical set pieces, Trip A Little Light Fantastic. Composing team Marc Shaiman and Scott Wittman (Hairspray) have created nine brand new songs, some inspired by classic English music-hall writers Flanagan and Allen, and Blunt is surrounded by dozens of dancers and stunt performers dressed as lamplighters for this extravagant number. It’s a huge feat of choreography featuring 300 performers. The action-packed number ends with a fleet of dancers – some of them professional BMX riders – racing through the streets of London on feet and bicycles. The team have also used a number of London locations for its key scenes. 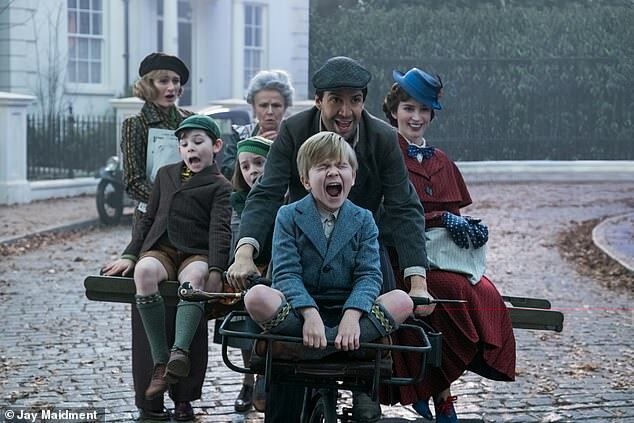 Marc Platt says: ‘We are living in unsettled times, and the kind of entertainment that people yearn for is a story like Mary Poppins. It’s where we can forget our lives for a while. And it’s where we can bring back some charm and music and love and innocence and childhood.